“One in eight American adults is an alcoholic, study says,” (Christopher Ingraham, WP) — The rate of alcolism is on the rise among U.S adults. This is a troubling trend, and churches and pastors must be ready to care for those who will be left wounded. “Facing Our Legacy of Lynching,” (D. L. Mayfield, CT) — Mayfield powerfully calls us to remember the darkness of our past when it comes to racial prejudice and violence. “We Are Equally Sinful. We Are Not All Equally Broken or Toxic.” (Brad Hambrick, BCC) — Hambrick helps untangle the sometimes unhelpful application of a good principle—namely, that we are all equally sinful. 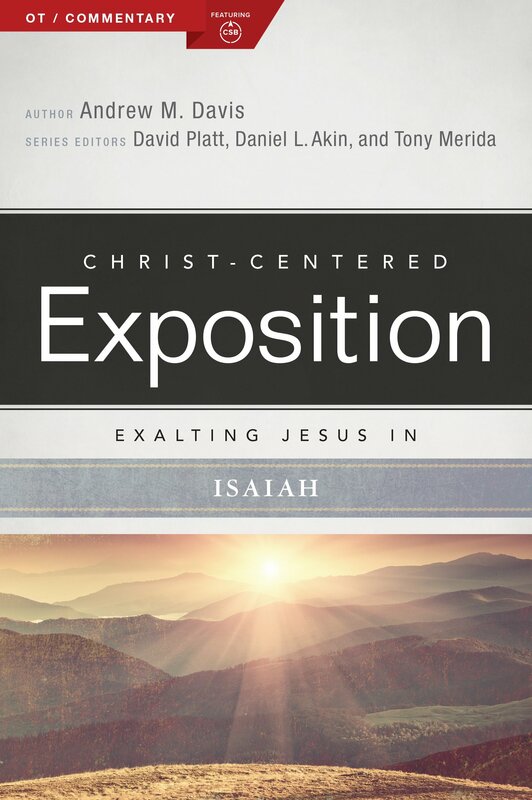 Exalting Jesus in Isaiah, (Andrew M. Davis) — This is one of the newest additions to the Christ-Centered Exposition Commentary Series, which I have the privilege of co-editing with Tony Merida and David Platt. Davis does an excellent job expounding the glory of Christ through the rich and sometimes difficult terrain of Isaiah. If you need help understanding this amazing OT prophet, pick up this book!